One of our collections is composed of items we envision as It-Girl Must-Haves. We included everything from a hot pink Mulberry Alexa to a white Alaia dress to an Hermes Collier De Chien cuff. In another collection we curated an assortment of our favorite Intoxicating Scents, which ranges from Tom Ford's Black Orchid to Dyptique's Feu de Bois. Perfect Accents is a collection of our favorite belts, hair accessories, gloves charms and jewels. We hope you will take some time to explore the inspiring collections we made and follow MadisonAveSpy on eBay as we create more. #eBayCollection and #FollowItFindIt. 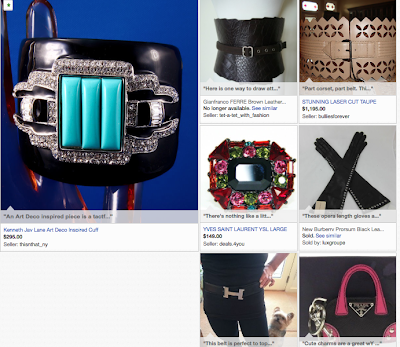 My eBay Collections were curated as part of my collaboration with eBay.